Singapore Blinds & Curtains: What Are The Pros & Cons Of Blackout Roman Blinds? What Are The Pros & Cons Of Blackout Roman Blinds? There are many homes that use roman blinds for covering their windows and also add to the beauty of the room interiors. But apart from these plainly visible benefits there are several other pros and cons of using these blinds in your home. These blinds come in various shapes and sizes; this also gives you greater flexibility in making the right choice about them. You will find about those pros and cons in detail below. One if the primary use of any blind is to give a better appearance to the onlooker. Blackout roman blinds offer a huge variety in their style from which you can choose. There are different shades of colors which can add flair to the interiors of your room. This available of variety in these types of blinds make them ideal for use in rooms as it gives you plenty of freedom in experimenting with the interior design of your room. You get complete privacy from the outside when you are sitting inside your room. These blinds are designed in such a way that you can adjust the amount of view that you need. This way you can actually decide whether you want full privacy. 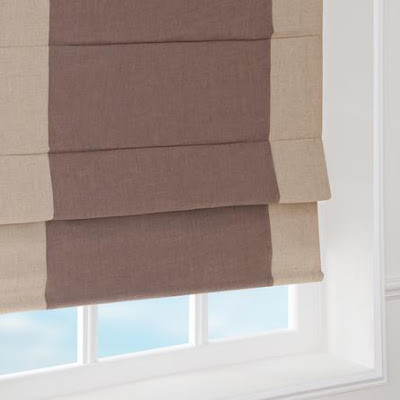 These blackout roman blinds are not just normal roman blinds; they contain a special lining in them which blocks the even slightest of the light ray from entering the room. This way you get completely room-darkening feature with these blinds. Therefore when using these blind you can choose whether you want partial light or complete darkness. This feature also stops any shadow being casted to the exterior during the night time when there are no lights outside. There are many manufacturers of these blinds and they make different styles of roman blinds from which you can choose. There are cordless blinds which makes you operate them without the use of any cords. There is also a huge variety of options in the fabric from which you can choose. These blackout roman blinds are very effective in blocking the view and light in the room, but there is also a drawback. Like some other types of blinds you don't get the option to have partial view of the outside. Due to the complete length of these blinds they either allow you to have complete access to outside view or no access at all. These roman blinds are not at all moisture proof. They have look of elegance in them, but when used in the places that constantly generate moisture like bathroom or kitchen, the fabric tends to get damaged. In the case of kitchen the odor from the cooked products get trapped in them and therefore giving a very bad smell. The fabric of these blinds also tends to catch the residue of oil and other greasy products in it, when used in kitchen. Despite its some cons the pros of blackout roman blinds makes it the perfect choice to be used on the windows of your home.